iTunes is Apple's default application for iDevice users to move music to their iPhone iOS 12/11/10. Though iTunes is a great application on its own, however, people don’t enjoy being restricted, this is why having an alternative becomes necessary. Despite the restriction, there are many other ways to sync music to iPhone without iTunes. There are different ways iPhone users can transfer music to their device without iTunes, a lot of apps have been able to offer this service. However, when it comes to synchronising music to iPhone iOS 12/11/10, iMyFone TunesMate iPhone Transfer is the best. 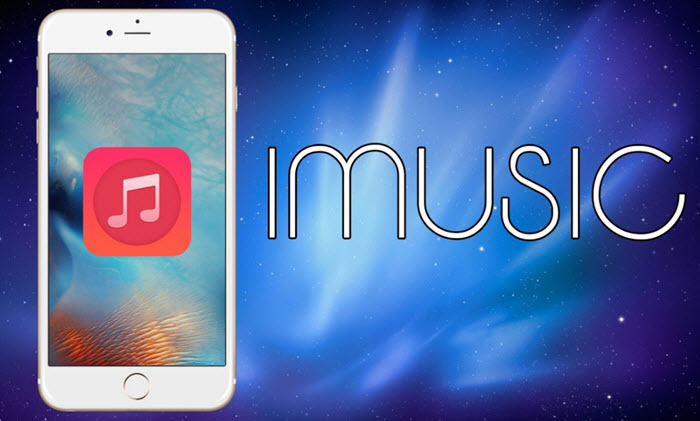 This app developed by iMyFone is an iDevice transfer software that offers flexibility to iOS users to the way they transfer music and backup their devices. The app provides a lot of features that make synchronising your iPhone with your computer very easy and fun. Two-way transfer: Flexible sync of music from your computer or iTunes to iPhone and vice versa. Sync without erasing: With the app, you can synchronise music from your pc or iTunes without having to overwrite your iPhone music library. Preview and select: When transferring music with the app, you can preview and select the files that you want to move before you move them. 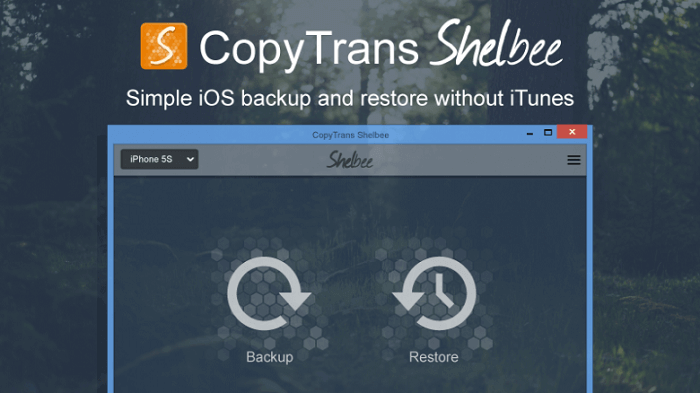 Transfer non-purchased files: The app supports the transfer of mp3 files that are purchased from other sources other than iTunes and also supports free downloaded music. Supports all music formats: There is no chance of missing out on your favourite music again because the iMyFone Tunesmate app supports almost all music file format. The steps to sync music to iPhone without iTunes (iOS 12 supported). Step 1: Download and install the iMyFone TunesMate app on your windows' computer. Step 2: Launch the app and connect your iPhone with the USB cable. Step 3: On the app’s window, click on the “Music” tab located at the top bar. Step 4: The window in front of you is the music window. Next click “Add > Add File/Folder” to transfer music from your computer to iPhone. 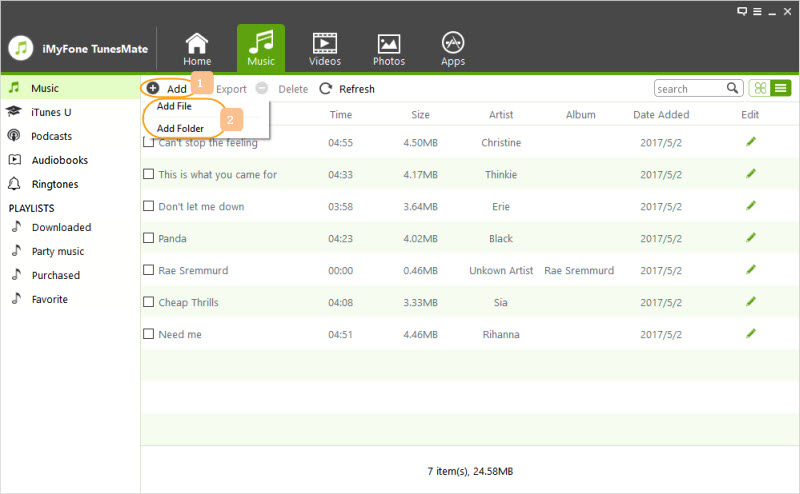 If you are transferring a single song, select “Add File” and choose where you saved the song on your computer. You can select as many songs as you want by holding down the “Ctrl” or “Shift” key of your PC while clicking on the songs you want to transfer. Step 5: After selecting the songs that you want to transfer, click “Open” to transfer the selected music to your iPhone. This app is a window app that iOS users can use as an alternative to iTunes. It does cater for most of the limitations of iTunes. 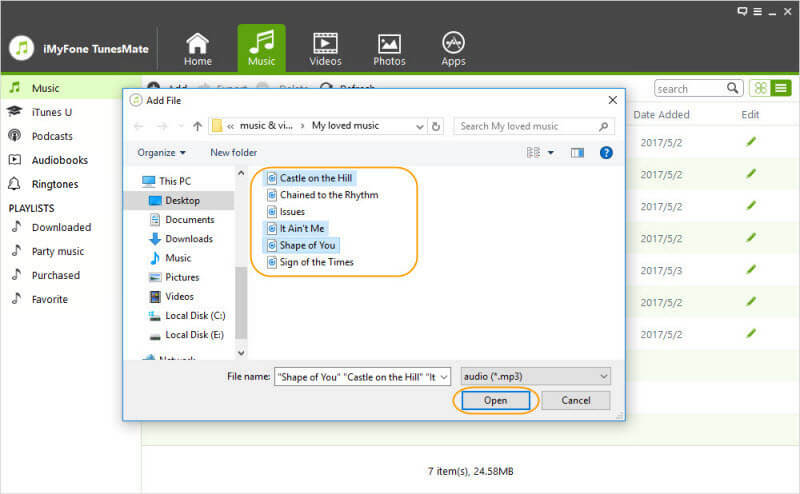 As a window's PC user, this app does exactly what you are looking for putting music on iphone without itunes. 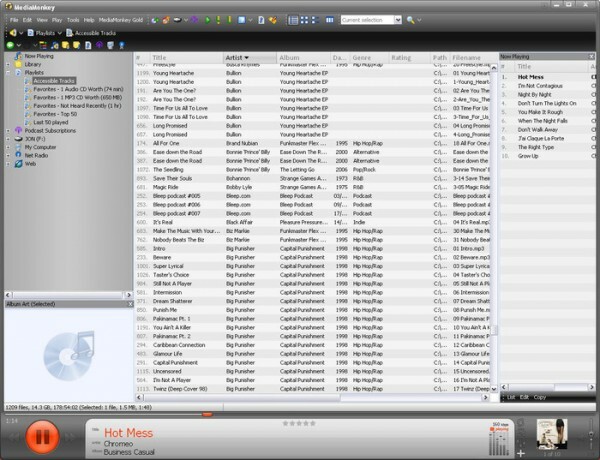 The app offers some notable features that iTunes does not have, such as drag and drop option, on the go editing and most notably is the ability to copy your music library to flash drive for editing on any windows computer. For iPhone users that already have an iTunes music library and don’t want to lose their music files, the app also supports the transfer of your iTunes music library to its music player. So you are not going to miss your favourite music using the app. The iMusic app is an excellent music transfer means for iPhone users to transfer music to iPhone without iTunes. The app has some features that make it a great alternative to iTunes especially to those that seem restricted by the limitation of the apple’s default music sync app. 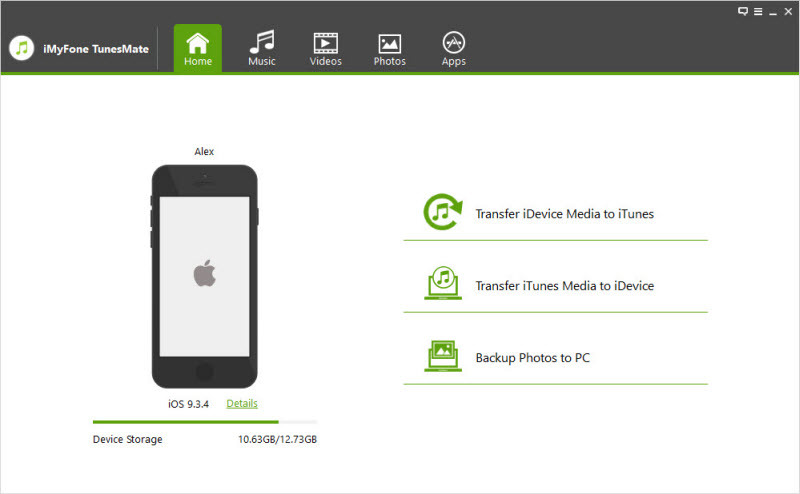 Users can transfer music, photos, audiobooks, videos and playlist to PCs. Another useful feature is that the app supports both Mac and Windows computer. You can download music from multiple music websites using the iMusic app directly to your music library. With the free built-in library, iPhone users can download the latest music for free. Media monkey is a great music app for window users. The app is free and offers great possibilities to iPhones users to sync music to iPhone without iTunes. When installed on your window PC, it searches your hard drive for any audio file and adds the files to the library. There are two version options of the app that can be downloaded, either the free version or the paid version also known as the gold version. The paid version goes for $24.95, and the free download version can be gotten by completing an offer with one of the partners. If you are among those that find it difficult to familiarise other apps other than iTunes, then this app is excellent. The app shares a similar interface with iTunes even in the way it functions making it a good free alternative to iTunes. The iTunes app is compatible with window and Mac computers. Users can transfer songs to iPhone without iTunes as well as apps, it allows the creation of music library, and it offers a great way of arranging music libraries such as restoring and deleting media files.